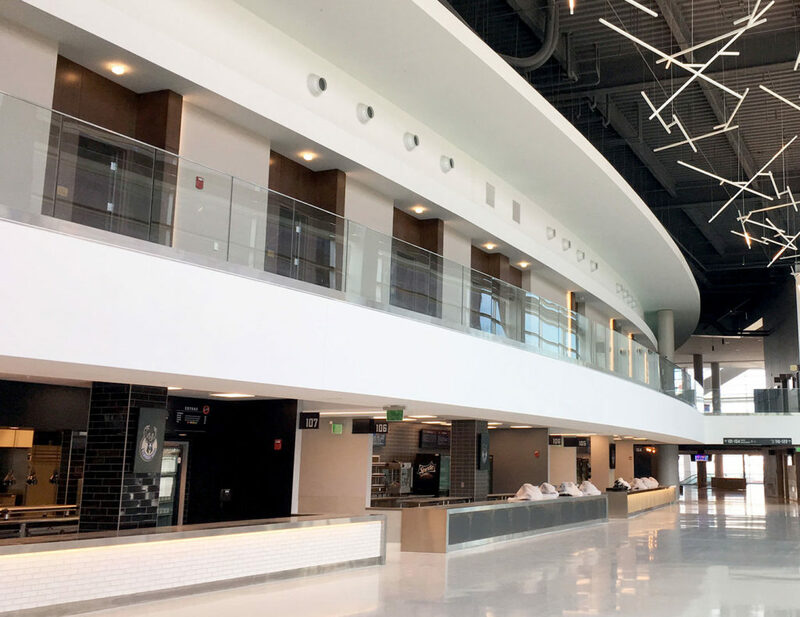 More than just an arena, Fiserv Forum is the central hub for recreation in Milwaukee. 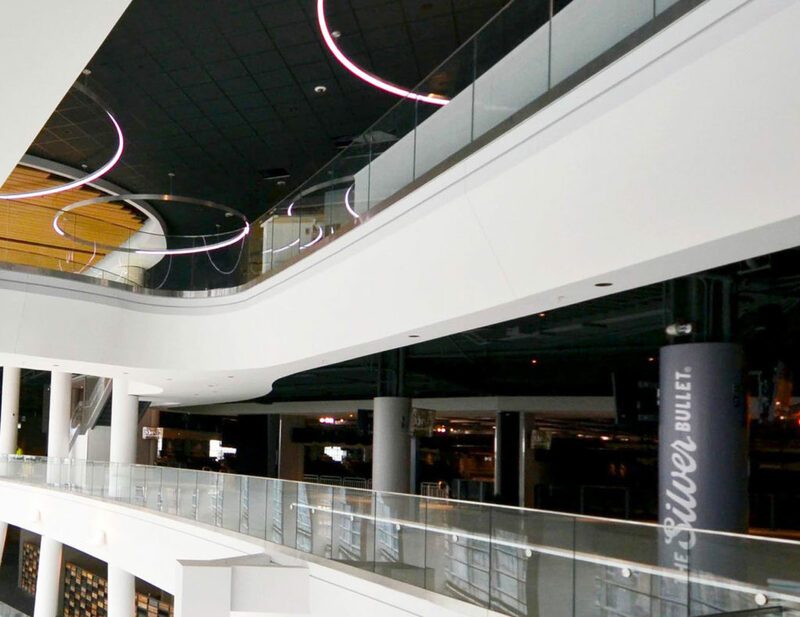 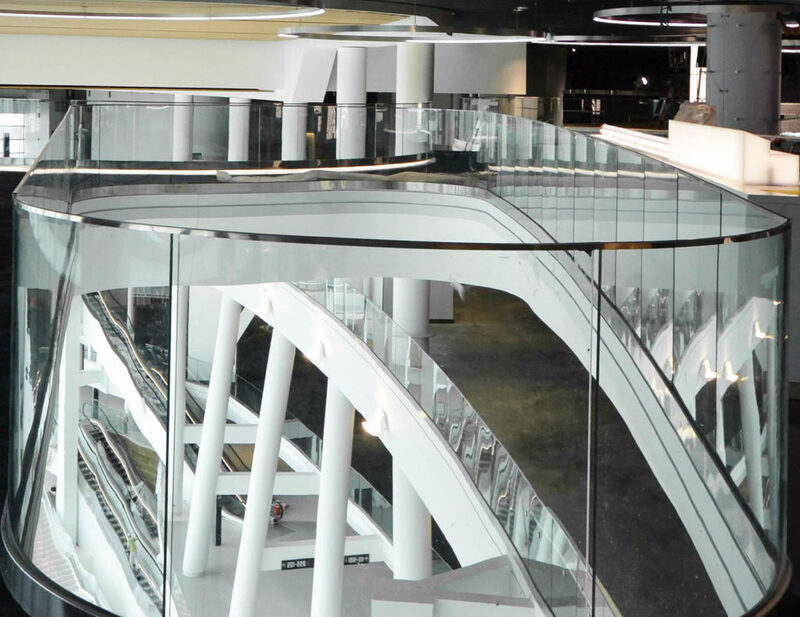 To complement the distinctive architectural design, Trex Commercial Products created more than 11,600 linear feet of custom railing systems, including glass Track Rail for the Sky Mezzanine, Panorama Club, East Atrium and Upper Concourse; glass dividers for the Suite Level; and Lexan Panel Rail on the Main Concourse. 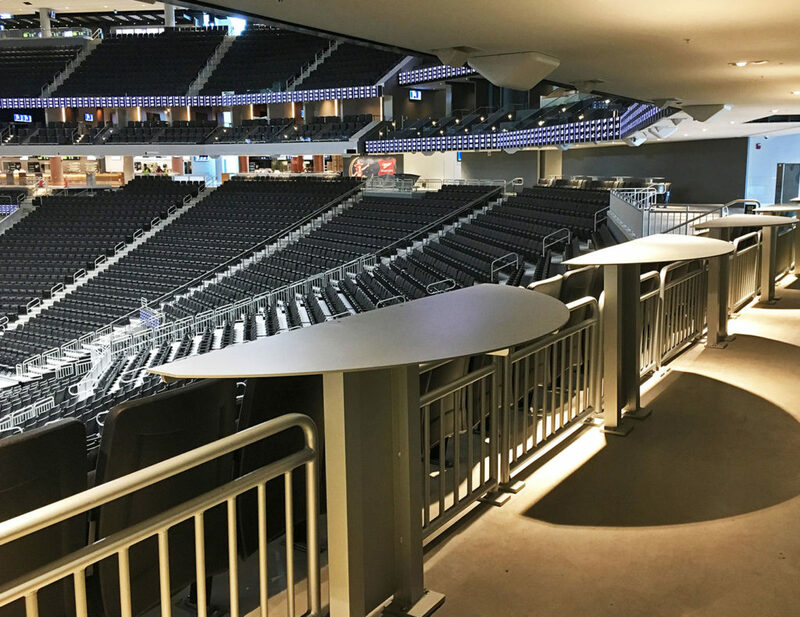 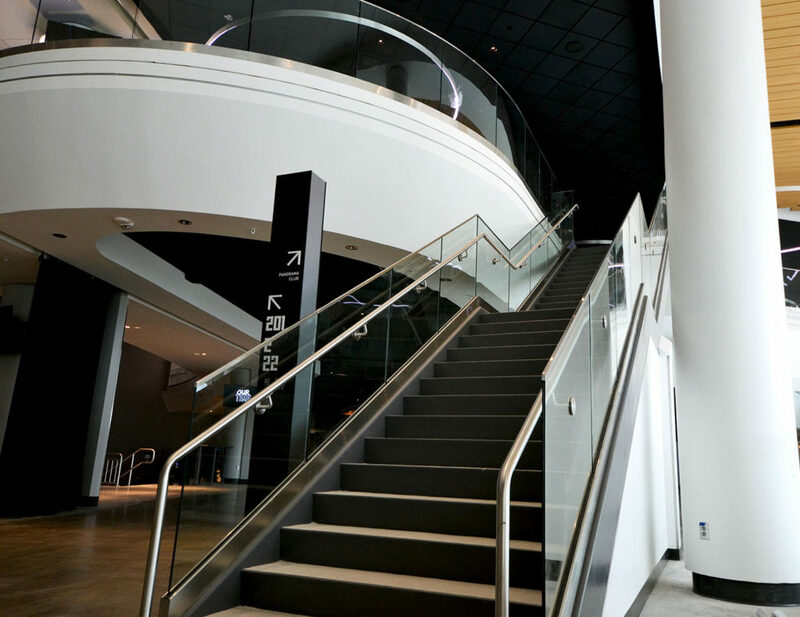 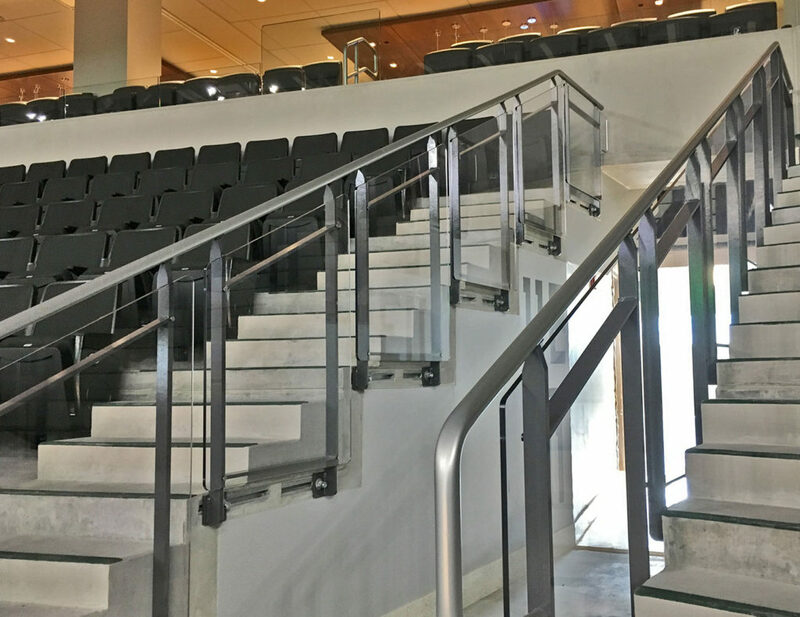 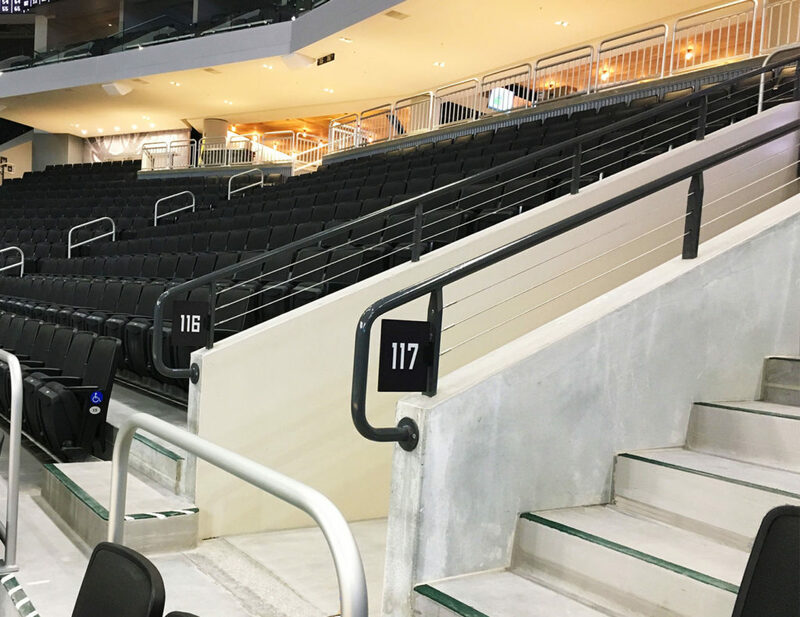 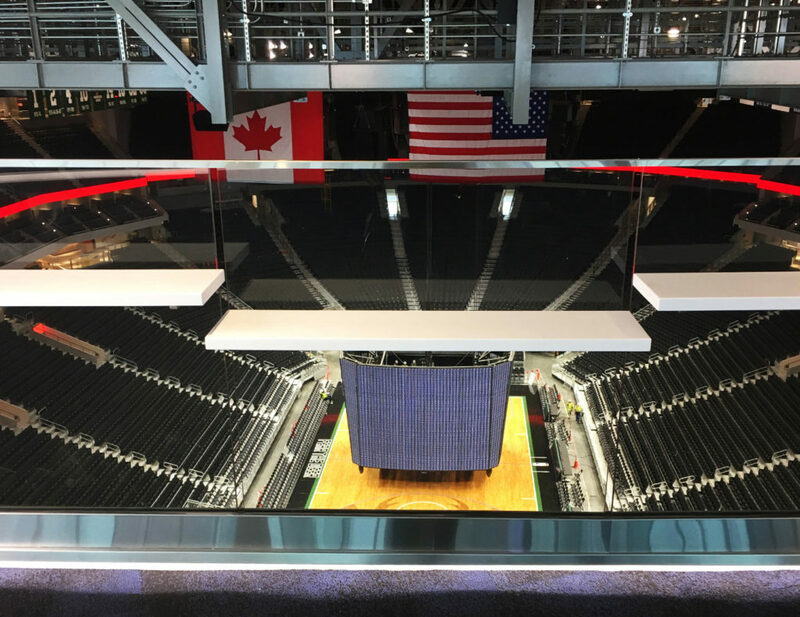 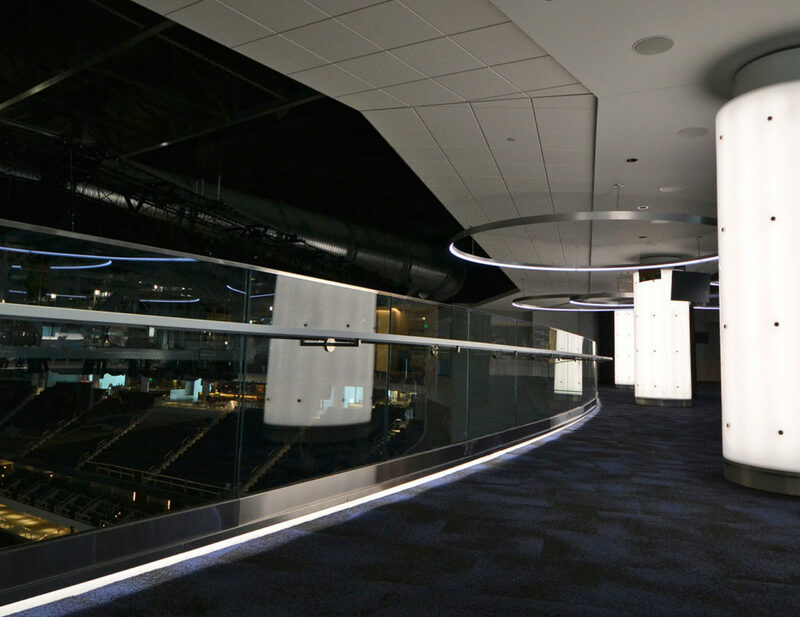 Additionally, the arena is outfitted with stainless and aluminum grip rail, cable rail and drink rail, along with ADAcompliant guardrails and LED lit handrail – all designed to enhance the open, modern aesthetic while accommodating safe movement throughout the facility. 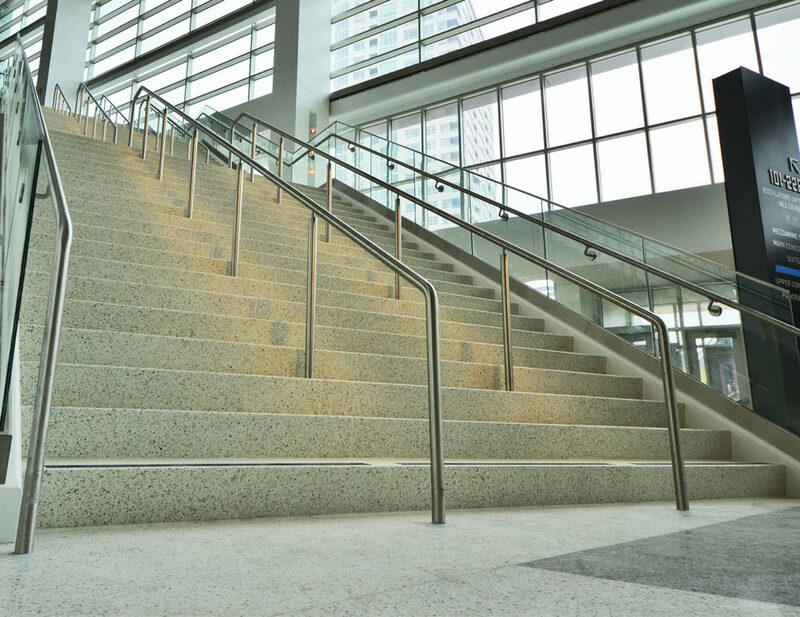 Glass Mftr: Cardinal Glass, Standard Bent Glass Co.